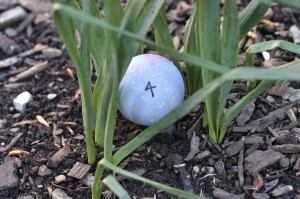 When I was growing up, my dad put on an annual Easter egg hunt for my four siblings and me. 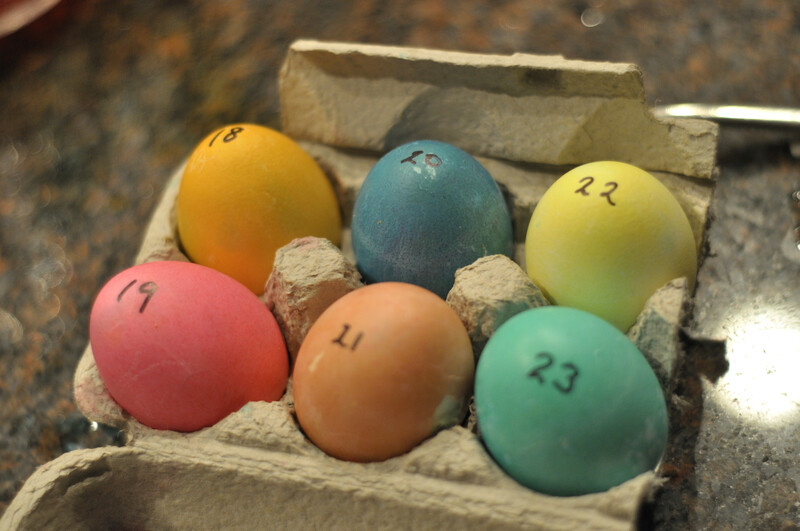 He numbered the eggs we dyed with our mom, and then he numbered king size candy bars so every egg matched with a candy bar. After the hunt, we traded in our collected eggs for the prizes. For us kids, it was the BEST! Fast forward a couple decades, and here I am doing the same thing for my kids. 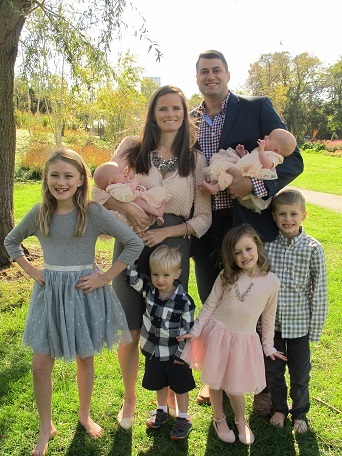 I love the notion of keeping family traditions going! However, last year I made a major rookie mistake by labeling one egg as the *GRAND SURPRISE* egg. It matched to a GIANT stuffed animal and OF COURSE all the kids desperately wanted it. A HUGE sibling rivalry ensued – running wild, fighting over who found it first, tears, yelling. Never again. Shudder. 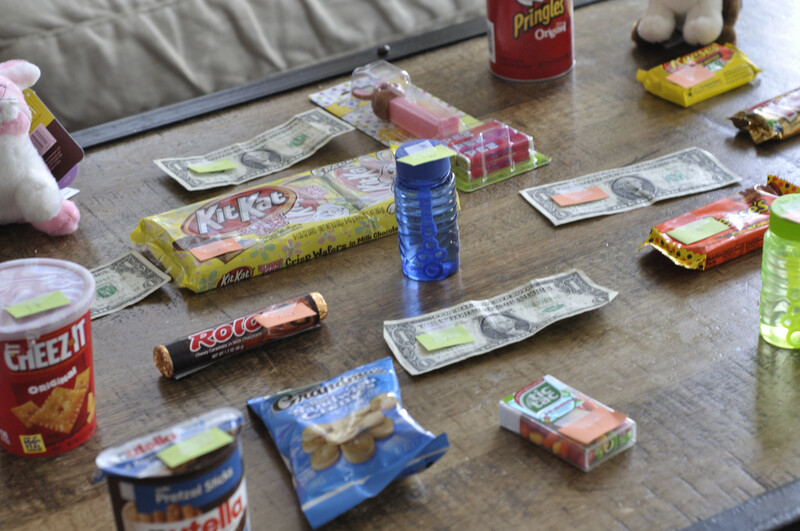 This year, I’ve got a stash of evenly valuable goodies – candy bars, dollar bills, small packages of chips. Fun treats the kids don’t regularly get throughout the year. 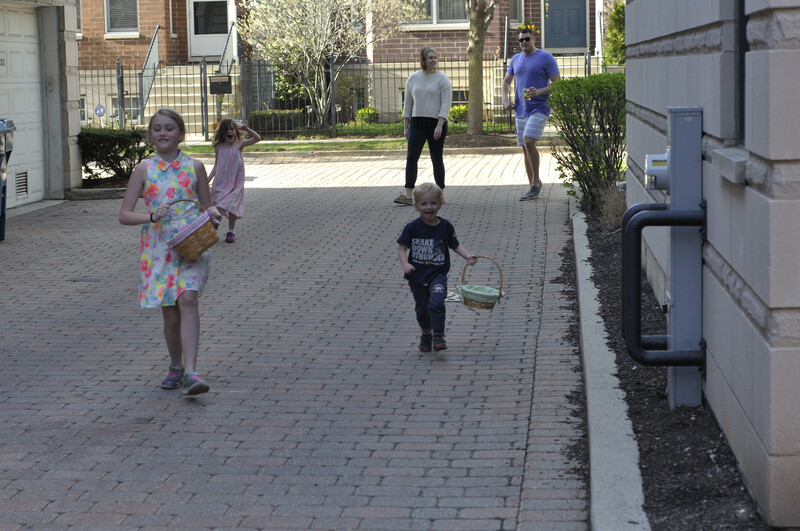 Every kid is allowed to “find” the same number of eggs, so we’ll avoid jealousy and hurt feelings. They are free to trade their goodies with each other, though! What I like about my dad’s original idea is that it doesn’t involve pesky plastic Easter eggs. Those things never decompose and do nothing more than junk up the planet. And, anyway, how much fun can really be packed into that tiny space?! Our Easter egg hunt is an eco-friendlier way to get the kids even better prizes. Haha! 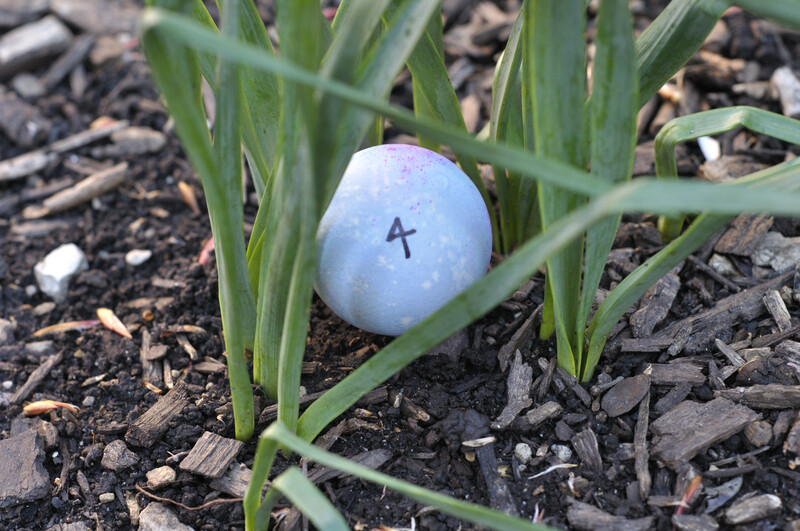 My mom (GG) also did Easter egg hunts when we were little. One year before we all went to Easter mass, she hid these giant Fannie May chocolate eggs around the living room.front hallway and dining room. When we got home our dog Snoopy had found every single one and devoured them leaving messy pay prints all over. And let me tell you, that was the gift that kept on giving as 8 giant chocolate Fannie May eggs did not sit well in the belly of a Beagle! Homemade Mothering is a movement that aims to simplify life and foster self-reliance while being kinder to our families and the planet. Its about encouraging people to get back to the basics when it comes to mothering and homekeeping.